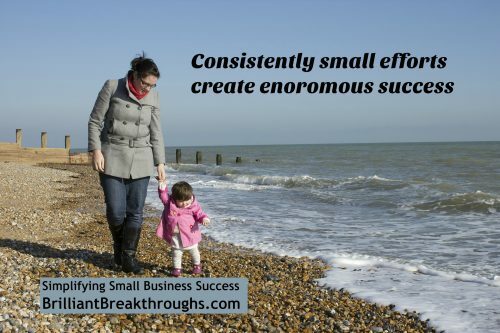 Enormous business success achieved through consistently small efforts - Brilliant Breakthroughs, Inc. Consistently small efforts can take a business to world renown heights. Thomas Alva Edison, commonly known as “The Wizard of Menlo Park” lived the practice of “consistently small efforts” to achieve his phenomenal accomplishments. General Electric (GE) acknowledges Edison as the prime inventor of an enormous business now known as GE. Oversimplified, Business Success is defined as when a business is profitable. Often small businesses are perceived as profitable; however, many aren’t. The difference tends to be the relentless efforts to do what matters by the Owner and team. TIP: All of it really matters! Don’t believe me, review my other articles on Edison, and WD-40. Collier had it right. Over the past decade of Small Business Coaching, I’ve seen too many good folks fold up their grand dreams into tiny little paper airplanes and send them sailing… just as they were about to achieve Business Success. Amazingly, people think that starting a business should automatically bring instantaneous success once they have a logo and website. Not so! It comes from showing up, day after day, even when it looks like absolutely nothing is happening. I want to share with you my own business story of why making small efforts consistently ultimately pays off. Last week I had one of those eye-opening moments about my business. Within two months I will be publishing my 800th blogpost on this site. Each one of my blogposts is a mini, or not-so-mini, business coaching session sharing tips, tricks, and strategies. It’s been a thrill. But lately I’ve been feeling that my writing isn’t as strong. Doing 3 “training” type blogposts a week, for over 5 years, is a heap of writing. Yes, I write to help other Small Business Owners (SBOs) not have to struggle nearly as much as I did. This is what drives me. That drive? Heck, I kept writing when I couldn’t even use one side of my body after a serious motorcycle accident. Yep, I slowly pecked with one finger to deliver something of value – quite a feat. I even kept blogposts delivery to you when I was away vacationing on a tropical island for more than a week – and you were clueless. Why? I kept showing up in your inbox (but took a week off). I remember once hearing “victory goes to those who show up”. Probably from a college lecture. It’s definitely stuck with me. Passion + Dedication still equaled All Pooped Out! Yet all that passion and perseverance didn’t matter to me this summer. I hit a wall! Yes, writing my blog has helped me do some amazing things: write a paper and present at an International Scholarly Convention tops the list thus far. BUT, I was losing my steam and decided to change my approach. The change was going to occur once I hit 800 blogposts here. Why? My shizzle had fizzled! Don’t worry, I came up with a new strategy to keep the awesomeness coming your way. I’ll be reactivating my older posts (that none of you have seen) with updated information for you while I still write one new blog a week. I shared all this with my Webmaster. Then he showed me the complete stats of my website. We were both pleasantly surprised at the results. I had endless blogposts with 300,800, 1,200, 1,800, and even 2,000+ views each. The results were phenomenal! My wisdom-sharing was doing good in the marketplace. I was overjoyed. Learning this was just what I needed to keep me keeping on! The consistently small efforts I was making each week were paying off. I’ll share the coolest thing with you about these stats: my blogpost “5 business lessons from a grasshopper“, which I wrote 2 years ago, is my most read blogpost. And that was right before we engaged some really cool tools for social media and content distribution. Without a doubt these consistently small efforts have improved my writing and gained more visibility for my business. That onto itself is amazing. That it’s served so many Small Business Owners over the years is quite humbling. And all this time I didn’t have that validation until we looked at these metrics. REMEMBER: There’s usually more happening than we realize. Keep on keeping on with your consistently small efforts – they matter! What aspects of YOUR Business need you to perform consistently? Please comment section let me know what other topics you’d like for me to write about! p.s. Baby steps matter! Guess I should do a movie review on “What about Bob?” next week. Maggie, I’m so glad I read this tonight! Good for you – 800 blog posts! I’m wanting to fizzle at about a dozen (I’ve been spending a lot of time on client writing, I need to prioritize writing for my blog as well in order to be consistent.) Thanks for sharing this encouragement, now I need to check out your other posts. 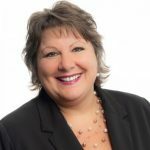 Welcome to our blog Jenette! Whatever you do, don’t give up. You know that folks are looking at your writing. Instead of seeing writing your blog as a “must do” mentally shift it to allowing your blog to showcase your expertise. This will help attract more and better clients to your business. Good luck with your consistency! Nice story and sorry about your motorcycle accident. My business story isn’t interesting at all. I been just facing obstacle. Until, a fairy godmother came to me and recommended me to hire a business coach to help me. Great Lyn. A good business coach sounds like they will be able to help you. Good luck!